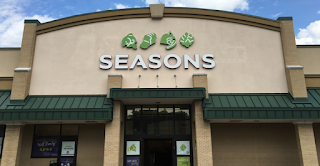 There has been a lot of speculation about what would happen to the one of the largest kosher supermarket chains in America, Seasons. They had filed for bankruptcy with over $40 million in debt to be settled. The latest news is they have declared new ownership. Who is the new owners? They are the family of Joseph Bistritzky, CEO of the Maramont Corp., a food services company. Not all locations will re-open as the new owners are being cautious about how they proceed with this new endeavor.